Many newcomers and those interested in Berlin only partially know Berlin. If you want to move to Berlin, it is necessary to know in which area you would like to live, before you start your house search. Also, if your company wants to convince a desired candidate, during the application phase, to move to Berlin, our orientation tour will be an appropriate instrument. 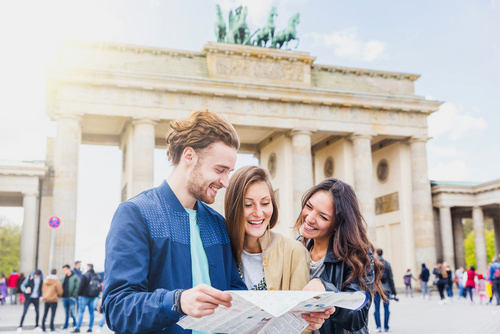 We will introduce the present-day Berlin, show the quality of life of the various districts, the high-lights of the city, inform about the exquisite leisure opportunities, make a side trip to one of the lakes and impart the typical Berlin Feeling. Today’s Berlin consists of various residential districts with their own center and characters. Lovingly, districts in Berlin, with which citizens can identify, are called „Kiez“, for example the areas around the Graefestraße in Kreuzberg are so called Gräfe-Kiez. You can compare it with „hood“. The better you know Berlin and the larger the area is, in which you can feel well, the more housing offers you will find. But also for tourists who want to get to know Berlin on a tour, we offer our individual city tours. How about a family tour for example? We will visit fancy playgrounds, attractions for kids and famous sightseeing highlights to make the tour interesting – for parents AND kids. Please Contact us or send us an email or Request Tour to info@arriva-berlin.de and let us know what particularly interests you.